If you’re saying or thinking this, then you’re probably right. Your manuscript is ready for an editor. 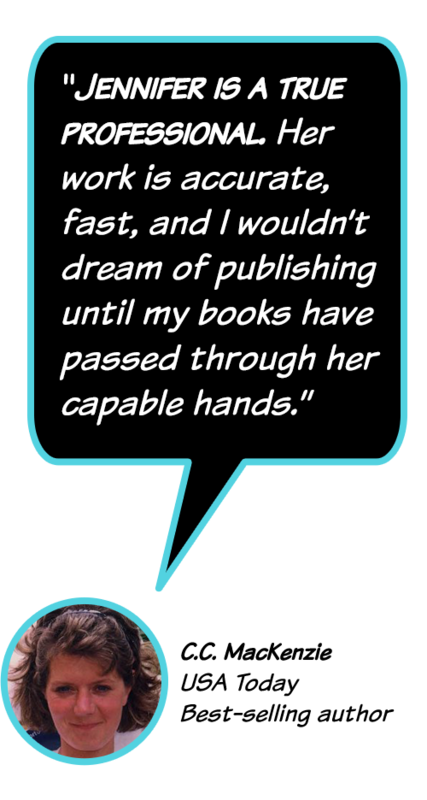 But it’s NOT ready for a proofreader, and depending on what stage you are in your writing career, your manuscript may not be ready for a copy editor either. You may need to work with a developmental editor first. Say what, Jenn? Aren’t proofreaders and editors the same thing? Don’t all editors do the same stuff? Technically, yes, we are all “editors” in some shape or form. However, we don’t all have the same duties. There are different types of editors and each one has a specific area of focus. Developmental editors focus on the story as a whole. They look at the big picture – the structure and content, the storytelling aspect. They help you figure out which pieces of your story puzzle you’ll need and where they’ll fit best. Developmental editors make sure your story has a solid framework consisting of a beginning, middle, and end, that your plot is sound, your theme is clear, and your characters have motivation and depth (and aren’t just hanging out in your pages throwing parties and inviting an entire neighborhood of other characters for no good reason). A developmental editor can be used while you’re writing the first draft, or even after that first draft has been completed. If you’re a seasoned author, you may not need the services of a developmental editor as you’ve gotten the how-to part of your process down to a science. But if you’re brand new, consider working with a developmental editor at least once. You’ll be surprised at how much you can learn from them during that time. No, this isn’t another name for copy editors. Line editors are all about the words, my friend. As in which words would be better to use, and which words you don’t ever need to put together in a sentence again. Line editors will help you with choosing the stronger verbs, and rewriting that sentence so it flows better. They focus on paragraph structure, sentence structure, readability, prose, voice, and style. These are the editors responsible for making your words shine! Another common misconception is copy editors and proofreaders are the same. They are not. Copy editors get down to the nitty-gritty parts. They look for grammar, spelling, inconsistencies in names and places, capitalization, fat-checking, punctuation, and even check character details like eye color and more. These editors are the ones you want to work with to make sure you’ve got all your commas in the right place – and that Joe doesn’t lose his charming dimpled chin to Mark in chapter four! After the edits, after the revisions, after you’ve read over your manuscript a thousand times making sure you’ve made all the changes your line and copy editor suggested, THAT is when it’s time for a proofreader. This should be the last set of eyes on your manuscript before you hit publish. Proofreaders look for mistakes that slipped through other phases of editing (because it happens, folks; we are only human), and they look at formatting too. In proofing a physical copy of a book, they will check that the binding is good, the cover is straight, ink isn’t fading, and there’s no ink splotches marring your pages. Plus, they will proofread the text of the story, too. During a digital proofread (Word documents, pdfs, ebooks), they will check to make sure no typos or grammatical errors slipped by the other editors, no extra spaces are lingering between words, your quotation marks are all the same (especially those smart quotes! ), and your chapter headings are correct. So before you hire someone to proofread your work, make sure you’ve had it copy edited at the very least. As you can see, while all of these editors know the rules, not all of them handle every phase of editing. Plus, the charge for each type of editing will be different as well. Typically proofreading will be less expensive than line or copy editing, and developmental editing will be more expensive than the other three since it’s more intensive. The ideal process would be to work with each type of editor, but sometimes our budgets don’t always allow for that. If you can only invest in one editor, make it a copy editor. Betas are great not only excellent for feedback on the story as a whole, but for finding mistakes like typos or missing words. A couple of author pals might be willing to take a look at your manuscript as well. Other authors provide a different perspective than non-writer beta readers, but both are an added value to your publishing process. So, next time you need to hire an editor, check to be sure which one is the right for the job. It will not only save you time, but money too! For editor recommendations, check out my Author Resources page! 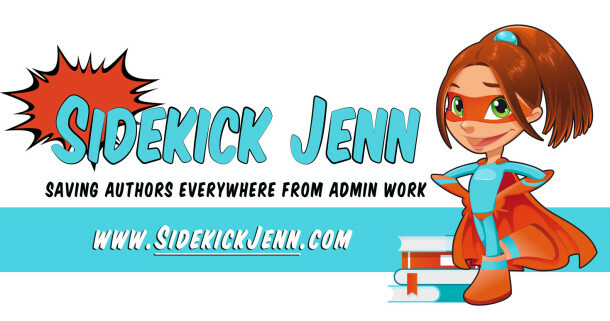 This entry was posted in Sidekick Tip for Authors and tagged Author, editors, Organization, proofreaders, time-saving tips, Virtual Author Assistant, Writers on January 2, 2017 by Sidekick Jenn.